Played on PS4, copy supplied by publisher. Putting players in control of adorable little cubes, Death Squared is pretty much a hate crime against controllers. 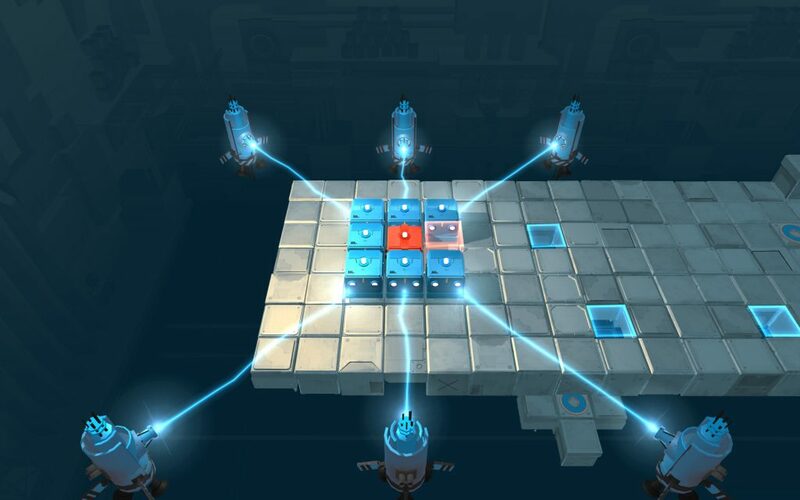 The challenging puzzle game will test patience beyond measure, which makes it all the more rewarding when you successfully navigate the creative levels. 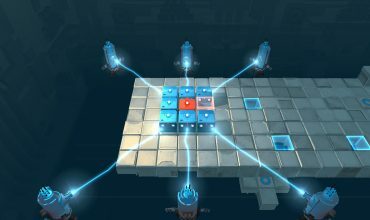 With single player and co-op options, Death Squared has story and exhibition modes at the ready. The beauty of the game is that it can just as easily be played solo as co-op. Of course multiplayer has its benefits, with couch co-op gaming maintaining a strong resurgence in the indie scene. The gameplay is relatively simple, players control a coloured cube which must land on its corresponding circle to complete the puzzle. However getting each cube to its final destination is harder than it sounds. Each level is very much set up to break you physically and mentally. Transparent boxes can only be traversed by certain cubes, laser beams will destroy cubes that don’t share the same colour, spikes will shoot out of the floor when certain colours touch their destination, and split level layouts will require players to team up and juggle their way through the death gauntlet. Oh, and if one cube dies, you all fail and reset back to square one, and considering how meticulous you have to be in some of the puzzles, this can be a major pain in the cubes. Speed isn’t an asset in Death Squared, the game pretty much boils down to the opening scene in Raiders of the Lost Ark, where even the slightest misstep will cause the mother of all cluster fucks. Communication is key when playing with others, and patience is paramount solo. On the plus side, the colourful visuals and extreme physics sometimes make for hilarious failures, with cubes flying into the horizon and imploding in a gut wrenching display. The story mode has a plot, one that is relatively played out, but entertaining none the less. Fans of the Portal series, won’t find the direction all too groundbreaking, with the premise being the cubes are testing AI capability at a vaguely sinister organisation in the near future. The narrators are a Chris Pratt-type and his dry sarcastic AI co-worker. Yes, it’s been done, but that doesn’t mean it can’t still be done well. Usually not one for overt humor in games, I was pleasantry surprised by how funny and dark some of the dialogue was. I’d be lying if I said I completed the game, as it rapidly becomes crushingly difficult. A few times I had to turn my PlayStation off and go for a walk. Yes, you will want to destroy all your possessions after seeing your hopes and dreams explode for the 100th time. This is especially the case with solo play, as you’ll find muscle memory can betray you a bit here. Controlling two to four cubes on the one controller leads to more than a few instances where you think you’ll be moving the red cube, only to plummet the blue cube off a ledge needlessly. 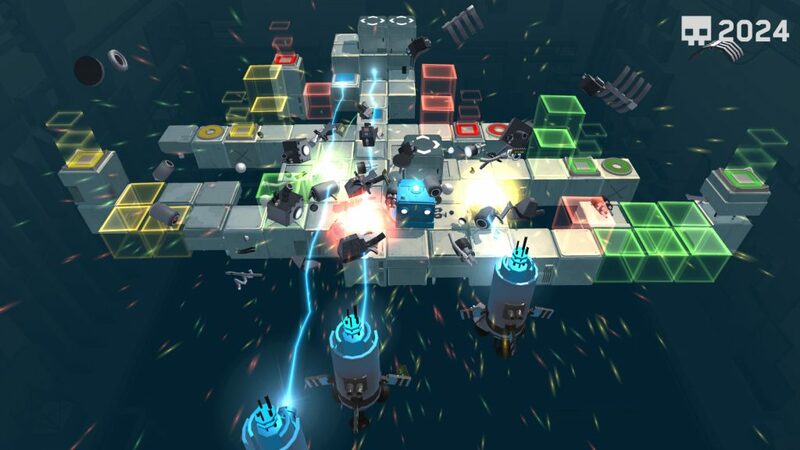 With more than enough levels to keep you and your friends frustratingly entertained for a solid amount of time, Death Squared is a no-brainer for those who love challenging puzzle games and screaming at their friends over animated failure. Developed by Sydney based SMG Studios, it’s a pleasure to see such an enjoyable experience come from an Australian team, and we’re more than excited to see what they come up with next. 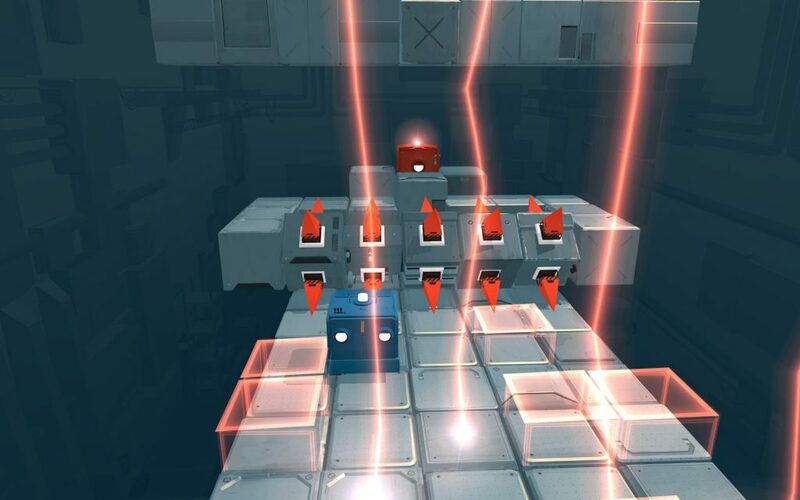 Death Squared is a masochist's puzzler, with a ton of challenging maps, addictive co-op and entertaining narration. We highly recommend stocking up a fridge full of cold drinks, ordering a couple of pizzas, and making a night out of this gem with friends. Destroy controllers with Charlie on Twitter @clbraith and don’t forget to follow @load_screen and like us on Facebook. Death Squared review: Now on Switch!